Known for their excellent retrieving ability, the Labrador Retriever is the most popular dog in the United States. Labradors are often trained as a therapy dog to assist the blind or people with autism, or to work for law enforcement and other official agencies doing screenings. Labradors are considered a short haired breed but tend to shed more than other short haired breeds. 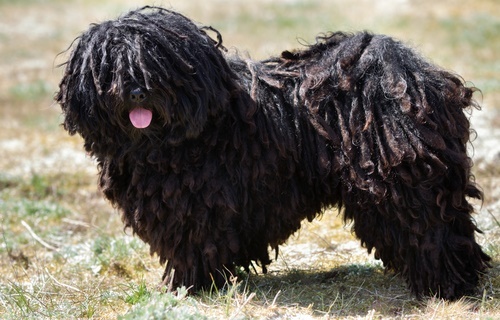 This means they need brushing more than other short haired breeds as well. If you are not diligent with maintaining your Labradors coat, the hair will end up on your floors and all over your house. It is important you find the right brush to maintain your Labrador’s coat but there are so many to choose from. 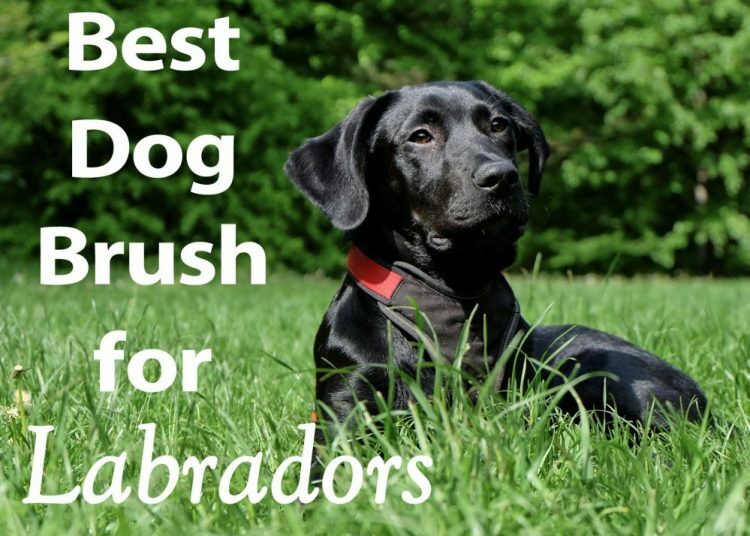 Here we have reviewed the five best brushes for your Labrador based on several features to help you make a more informed decision. Labradors are usually categorized by these three coat colors; Golden Lab, Chocolate Lab and Black Lab. They have short double coats that keep them warm and are waterproof. Labradors do shed and some more than others. blow his soft undercoat annually, at which time you may have more Labrador retriever fur on you than he does. It is important to brush your Labrador once a month or as often as necessary. 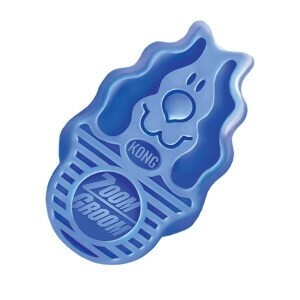 The ZoomGroom by Kong is great for grooming and shampooing your Labrador. It removes loose hair and dirt like a magnet, while stimulating natural oil production. Regular use will work to reduce shedding. 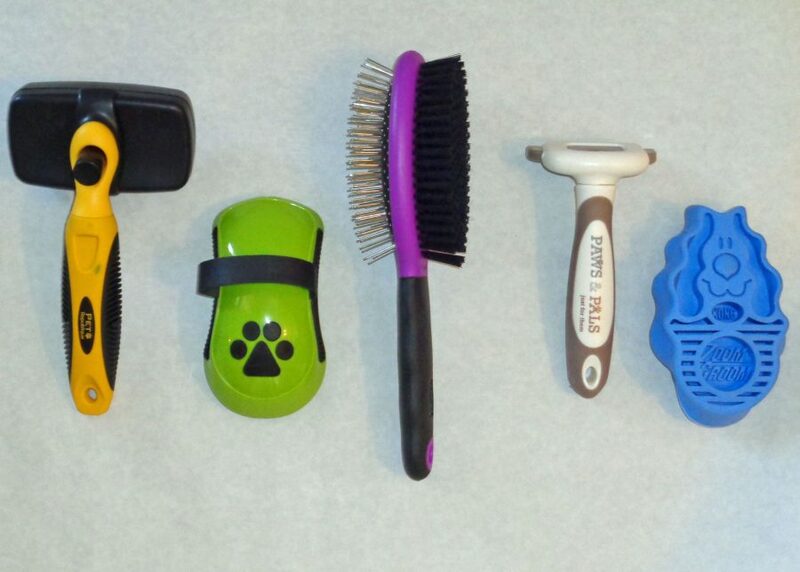 ZoomGroom brushes are effective for short coat types and is very comfortable in your hand when using. 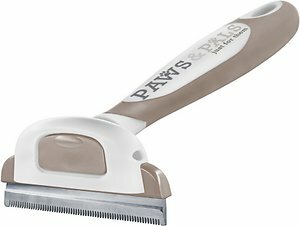 The Paws & Pals de-shedding and grooming brush is great for removing the hair your Labrador leaves behind. This tool works great for removing loose hair dirt, and dander, as well as prevent matting. It reduces shedding by 90% and helps control your Labradors undercoat during shedding season. The comfort grip handle is designed to fit easily in to your hand for maximum control. The Hartz Groomer’s Best Combo Brush is ideal for dogs with double coats like Labradors. One side is fine stainless steel tips that has wide enough spaces to grab hair and remove knots. The bristles on the reverse side help to distribute natural oils that keep your Labradors coat smooth. 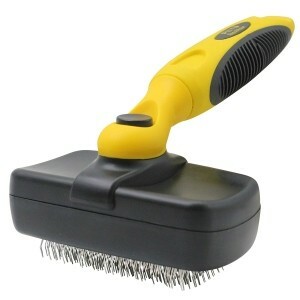 The handle has a rubber coated ergonomic grip to make brushing all types of coats simple yet effective. 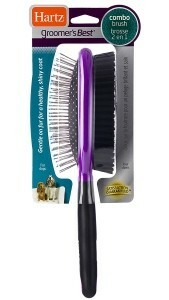 This slicker brush is made with fine and flexible wire bristles, and works great on Labradors under coats. It removes dirt, tangles, loose fur and mats. This slicker brush will penetrate without scratching the skin. The ergonomic, rubber handle and heavy plastic material makes it very durable and easy to use. This brush has a self-cleaning one-push button feature, making clean up easy. 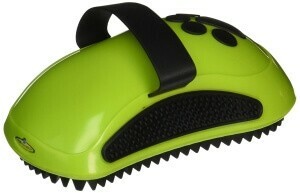 The FURminator Curry Comb is ideal for medium coat dogs like Labradors. This brush works to remove dust and loose hair from your dog’s coat with molded rubber teeth that also stimulate the production of natural oils and promote coat health. The handle has a simple ergonomic design for a secure and comfortable grip while you brush. Labradors have low maintenance coats but still need regular grooming and bathing. Although their short coat is easy to manage, Labrador Retrievers tend to shed excessively twice a year and during that time regular grooming is necessary. Brushing and occasional baths are needed to keep the Labradors hair under control and out of your house. Labradors do not need to be bathed often but you can wash your dog every few months or if he gets really dirty. Frequent bathing can actually dry out your dogs skin and lead to other issues. Your Labradors skin is protected by his coat and should not need any care or attention from you. Some Labrador owners think that shaving their dog will help keep him cool in the summer, but the undercoat will help insulate the dog and keep him warm in the winter and cool in the summer. Seborrhea is an incurable, but treatable disease caused by overproduction of sebum, resulting in a range of skin problems, including oiliness, flakiness and dryness in Labradors. The affected areas include the ears, neck, knees, elbows and hocks. Atopic dermatitis in an inherited predisposition that causes the immune system to overreact to environmental allergens such as pollen and dust. 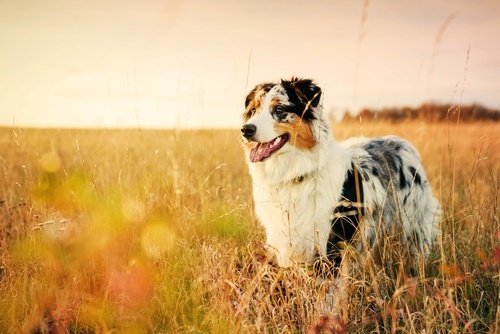 It causes dryness and flakiness and affects mostly Labradors between 1 and 3 years of age. A lack of sunlight can cause some Labradors to suffer from localized or general hair loss. Light responsive alopecia causes bald patches, usually on your Labrador’s flanks. It is more common in dogs that live in regions with long winters. Pyoderma is a bacterial skin infection that causes crusty lesions to form on your Labrador’s flanks, hips, lower back, and tail. 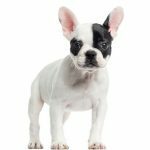 It is usually the result of an underlying condition, such as dermatitis, seborrhea or any issue that causes itching, such as flea bites, hot spots or compulsive scratching. Labradors shed a lot and vacuuming and sweeping will become part of your life. Finding the best brush will do more than remove and control loose hair, it will save you time on cleaning. 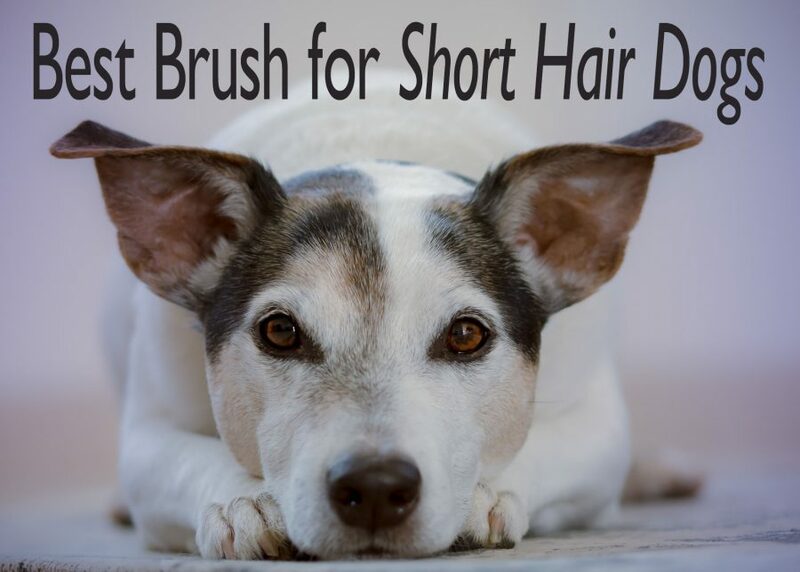 The right brush and regular grooming sessions will keep your dog happy and his coat healthy.